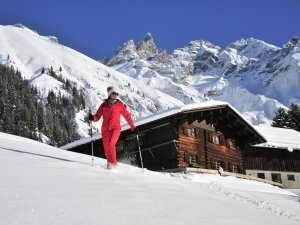 An excursion into the imposing Alps is an unforgettable experience in summer or winter, no matter whether on a pleasurable mountain hike or a fast downhill ski run. 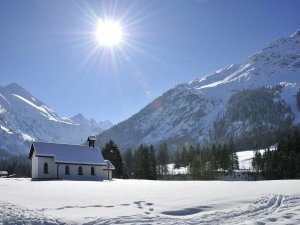 Visit subterranean Oberallgäu with its Sturmann's cave and Breitach and Starzlach gorges, together with the precious artworks that can be found at the Loreto chapels in Rohrmoos, Bad Hindelang / Bad Oberdorf, with many more en route. 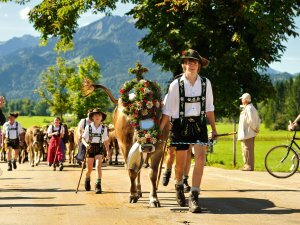 Lake Bodensee – one of the biggest lakes in Europe – isn't far away. 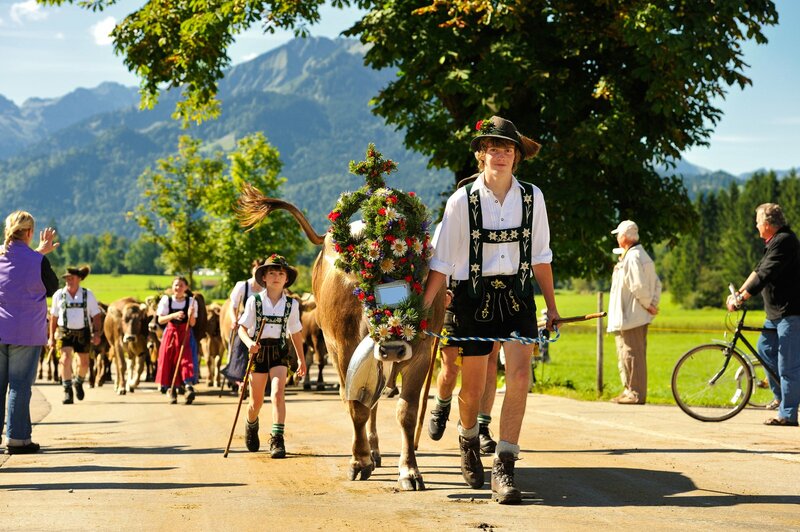 The lakeside towns of Lindau and Meersburg, as well as Mainau island are not to be missed. Watching a performance at the Bregenzer Seebühne outdoor theatre is an unforgettable experience. 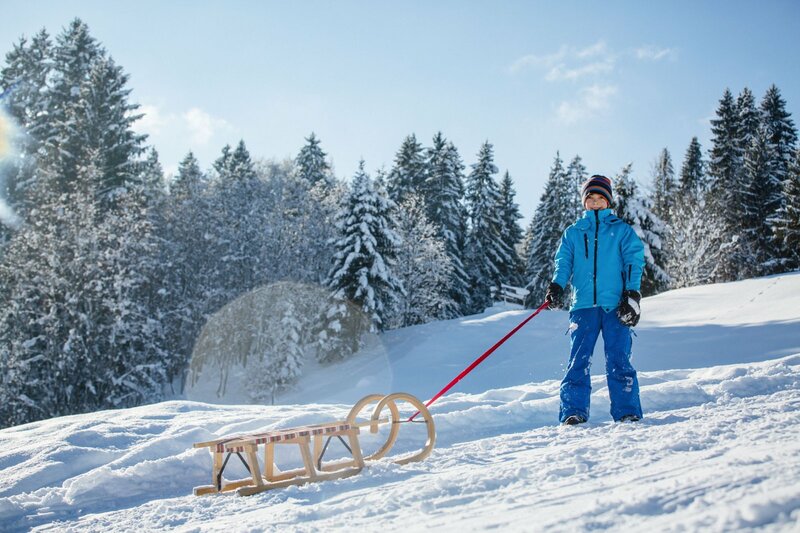 The famous Neuschwanstein and Hohenschwangau royal castles and the Roman town of Kempten with its museums, archaeological park and great shops all await you. 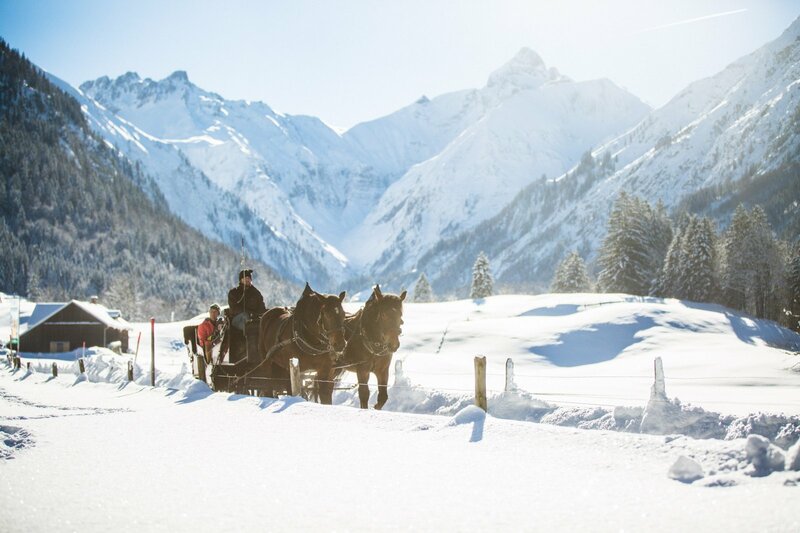 The local history museums in Oberstdorf and Gerstruben, the ski museum in Fischen, the carriage museum in Hinterstein, the Museum of Mountain Farming in Immenstadt, and the farmhouse museums in Wolfegg and Illerbeuren will inspire and delight. 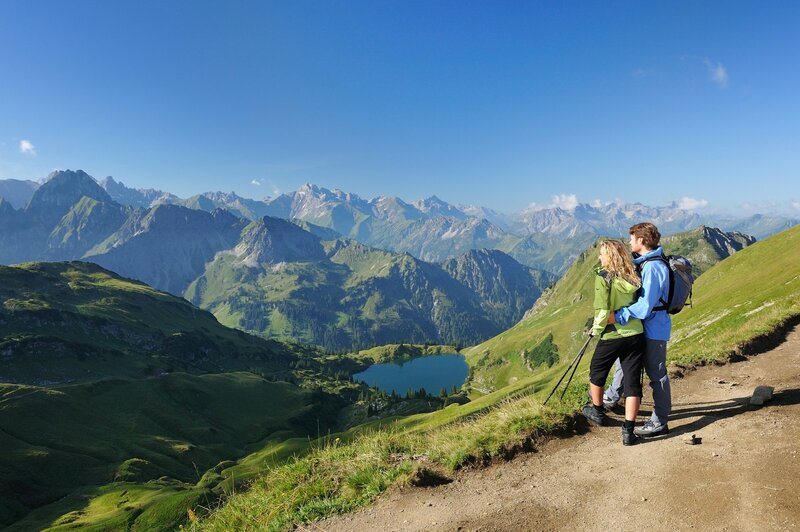 Oberstdorf offers over 200 kilometers (120 miles) of marked hiking paths. 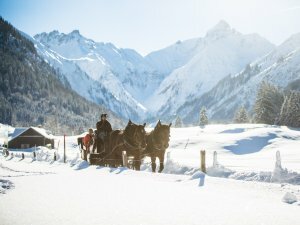 Acclimatize yourself on easy walking tours through Oberstdorf’s romantic valleys, walk along forest and valley trails, hike at mid-summit, or enjoy wonderful views from the diverse ridgeways. 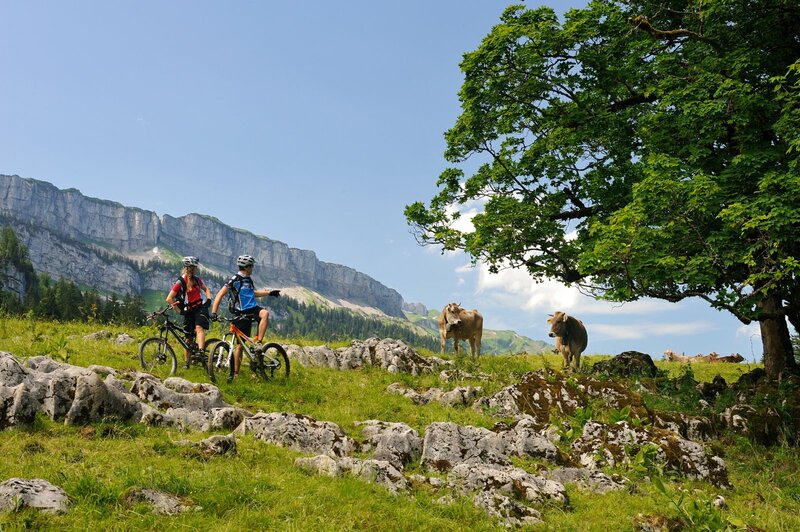 Oberstdorf is ideal for mountain-bikers, offering numerous tours: from a short sporty trip to much bigger challenges. 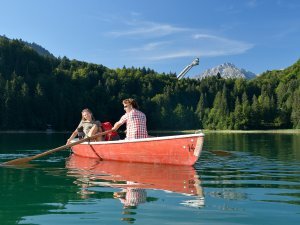 Relaxation on hot summer days can be found on one of the numerous mountain lakes such as the Freibergsee, or on rivers such as the Iller and Trettach. 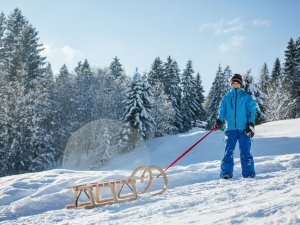 Whether it’s skiing, snowboarding, sledding, cross country skiing or winter walking, Oberstdorf offers unlimited leisure-time possibilities in winter. 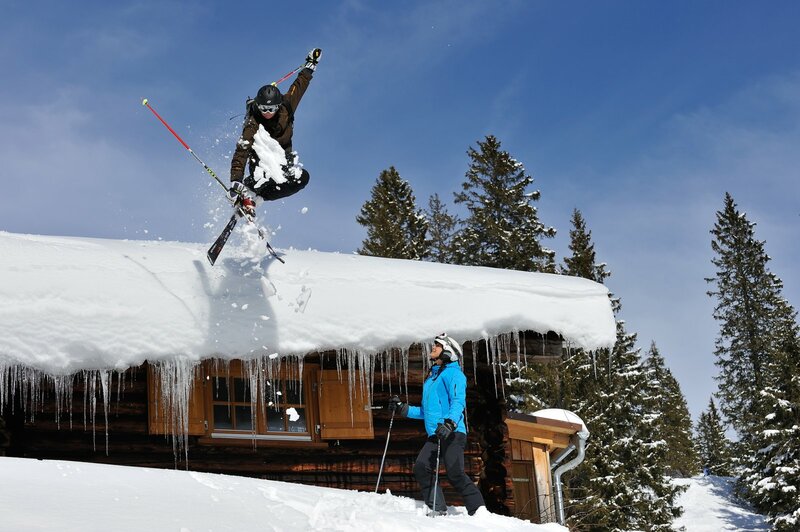 130 kilometers of pistes, freeride slopes, 6 mountain railways and 56 lifts are all in the vicinity of the hotel. 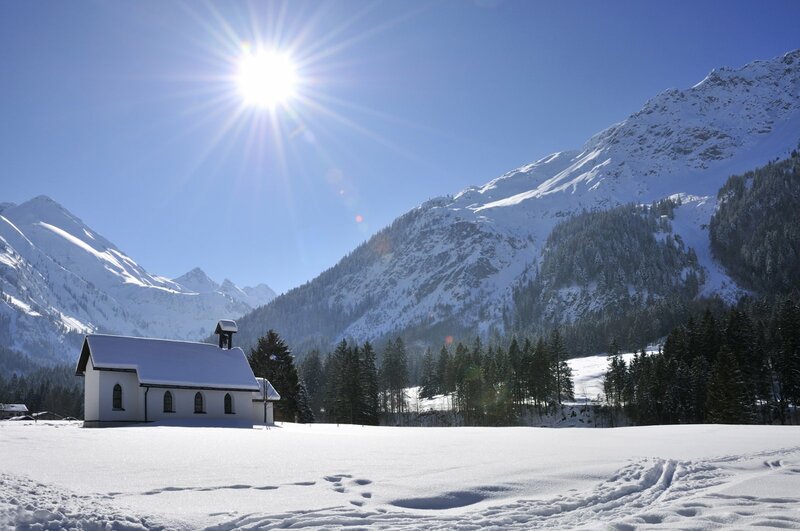 You can also start your relaxed winter hike from the Birgsauer Hof. 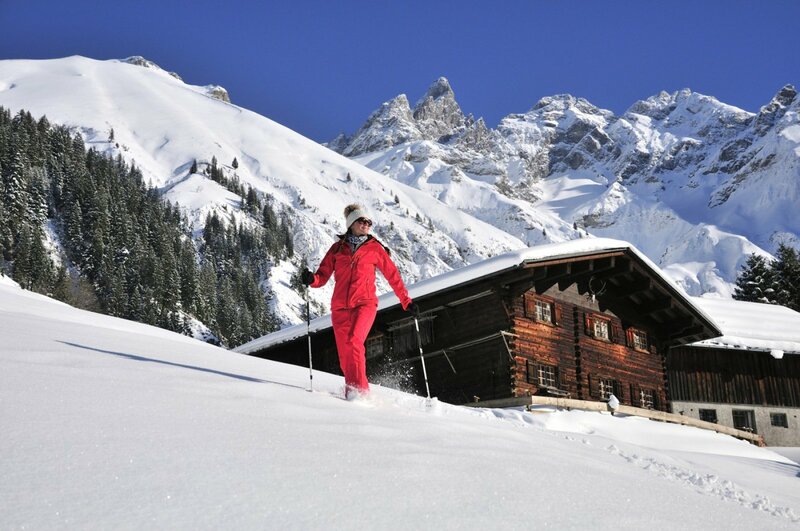 Furthermore, Oberstdorf’s cross country ski trails are perfect for beginners or more sporty cross-country skiers. 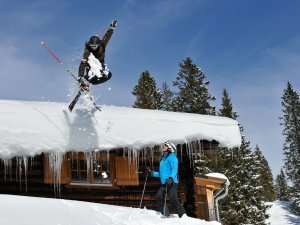 Numerous winter sport events such as the four hills ski jumping tournament or ski flying competitions also offer variety.